Support can be crucial. In fact, a study from Stanford recently found that even just receiving a phone call from a companion once a week can lead to an increase in the amount you exercise by 78%. So, how much could having a designated gym buddy improve your workout routine? Having a workout partner can play a critical role in your fitness journey, no matter if you’re just starting out or if you’re years into your routine. Check out these top 5 benefits of having a workout partner! 1 – Sharing the experience together is more rewarding. Struggling at a treadmill alone may seem daunting, but consider laughing about the experience later with a friend– that probably seems a lot more bearable. Having a friend to share in the hardships, steer away from the temptations with, and at your side while you’re working towards your goals can make it a truly rewarding experience. 2 – Having a partner can boost your motivation. While facing the journey alone may be a hard but manageable experience, making the trip to the gym and on your way to your goals with a friend becomes a lot more achievable. Sharing a joint motivation can make the commitment to work out a stronger, more passionate goal that you can remind one another of when your morale suffers. 3 – Not only can a partner motivate you, but their commitment can give you an obligation to continue. 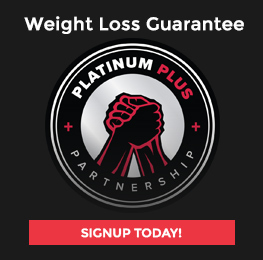 While obligations aren’t often something to look forward to, having the tie and promise to another person to fulfill your fitness goal is a strong source of motivation to keep you going. Having their morale and trust to continue can be just enough pressure to drive you to keep up the hard work! 4 – While a partner is there to complement you, they can also be there to get a bit competitive. While workout sessions shouldn’t be a race to see who can lift what, or run longer, or go harder, seeing someone else excel in one field can push you to try harder. For instance, if you have a friend that’s great at running, that may push you to work at improving your own. If you admire your workout partner who lifts higher numbers than you, then maybe you’ll feel encouraged to take up practicing your lifting more, too. A little competitive spirit can lead to self-improvement! 5 – A workout partner can make the gym feel more comfortable. While seeing a sea of new faces can be intimidating, having a familiar one at your side to look at can help you feel safe. A gym can seem especially formidable when you’re just starting your fitness journey, so ensuring you can find something friendly and familiar while you start working out can be game-changing. Take a friend in for at least your first visit and you’ll have someone to anchor you and make the space feel more comfortable. 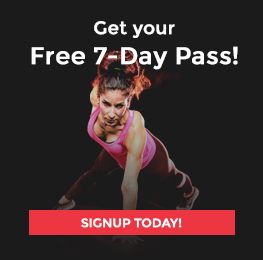 At Platinum Fitness, we’re ready to help lead you through your journey with a Free 7-Day Pass and all of the resources you need to get going! Why not bring a friend? Everyone is welcome!